©FAO/Giuseppe Carotenuto. Editorial use only. Copyright ©FAO. On April 3rd, 2018 standing before a packed plenary hall of over 700 civil society members, government representatives, practitioners, and academics gathered for the 2nd International Symposium on Agroecology, FAO Director General José Graziano da Silva opened a new chapter in the contested trajectory of agroecology in the global policy arena. For years the organic farming movement, peasants and civil society organisations have pushed for greater recognition of agroecology as an alternative to the well-recognised failures of the Green Revolution, providing an approach for holistically strengthening ecological resilience in agri-food systems and strengthening the agrarian and rural livelihoods. 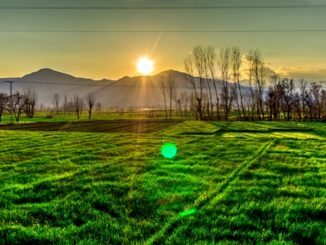 Now with agroecology to the top of the policy agenda in FAO, as well as the Committee on World Food Security, the political stakes couldn’t be higher. As agroecology continues to move toward deeper institutionalisation in development organisations like FAO, new policy spaces are emerging for challenging the increasing concentration and corporate control of agri-food systems. At the same time, this institutionalisation risks cooption and the watering down of agroecological principles in these very same, highly politicised, policy spaces. 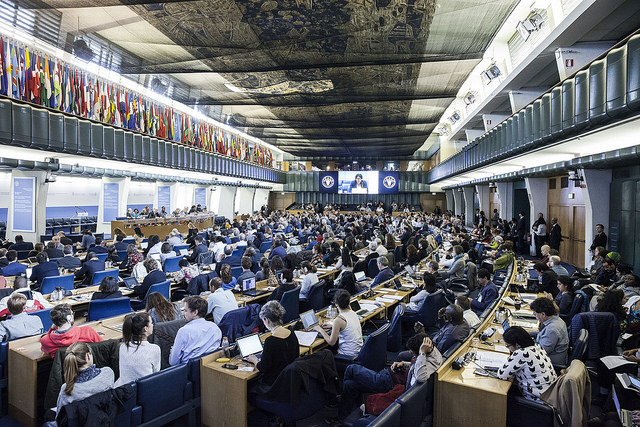 It was in this context that the FAO Director General opened the Symposium with the unusual announcement that the event would result in a Declaration on how agroecology can be better supported and scaled-up globally. This declaration was to be presented to FAO member States at two high-profile meetings in the coming year. 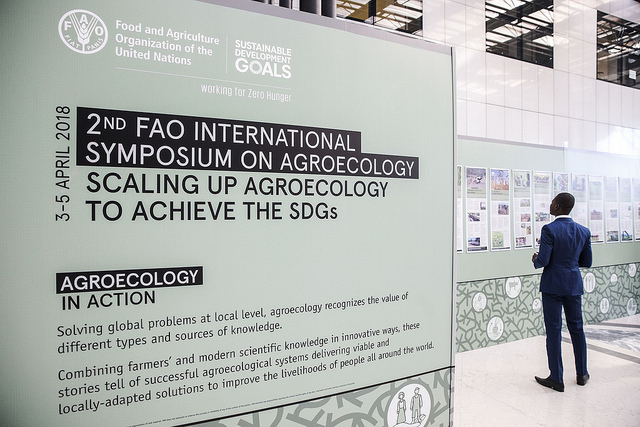 In setting the political stage, the Symposium launched into three days of panel presentations, debates, and negotiations among stakeholders from across the globe on the policy future of agroecology in FAO. 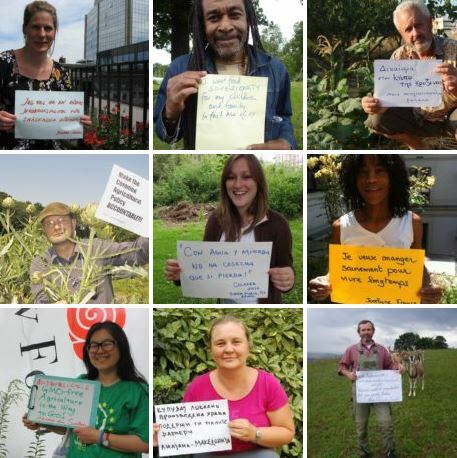 A number peasant organisations, including the European Coordination Via Campesina, emphasised that agroecology is not a set of tools or practices than can be used to make large-scale and capital-intensive agriculture systems more sustainable. Rather agroecology is a radical paradigm shift in the social, ecological, and economic practices and relationships surrounding agri-food systems. In this vein, agroecology was shown to be strongly rooted in the livelihoods and environmental characteristics of a particular territory. Put more simply, there is no template for agroecology, but rather it is shaped by the socio-ecological context. Scaling-up this more systemic approach requires a restructuring of how we govern agri-food systems, as our current public policies are consistently failing to account for wide-spread degradation of land and water resources, infringement on the rights of indigenous peoples and rural communities, and on food insecurity and malnutrition. As part of this discussion, particular attention was focused on how public policy could be used to limit profit-seeking behavior in agricultural markets, while better valuing the socio-economic benefits of employment generated by small-scale family farming. A second core theme, highlighted by local officials and politicians from Uruguay and India, related to how socio-economic power is wielded to shape agri-food systems. It is no secret that policy formulation is rarely a transparent process, and influential actors often have disproportionate leverage is shaping how public policies can incentivise unsustainable practices or favor powerful business interests. These kinds of power dynamics become glaringly apparent particularly when examining the role of women in agriculture. As emphasized by Ms Isabel Andreoni of Montevideo Rural, in many contexts women bare the majority of labor-intensive responsibilities but are often systematically barred from owning land, gaining formal access to credit, or holding leadership positions in political spaces. Agroecology thus attempts to confront these power asymmetries through collective action, women’s self-empowerment, and policy reform at local, national and global levels. Toward this goal, a number of panelists spoke to the importance of scaling-up open-source information systems for small-scale farmers, strengthening the participation of often marginalised communities (such as pastoralists) in policy-making forums, and demanding equal representation of women in leadership positions of rural institutions. A final recurring theme of the Symposium focused on the role of research and information systems in demonstrating the benefits of agroecology at a macro-level, as well as overcoming challenges in integrating different kinds of agricultural knowledge with farmers at the field level. Several well-recognised academics such as Dr. Miguel Altieri from UC Berkeley in the United States and Stephen Sherwood from Wageningen University in the Netherlands spoke to the several decades’ worth of science-based research showing the socio-ecological benefits of agroecology production systems. Meanwhile, indigenous and community leaders from Asia and Africa also emphasised the importance of recognising local knowledge systems, which can most effectively identify sustainable production thresholds and reciprocal agricultural practices that support ecological resilience. Thus a main point from this discussion highlighted the fact that local knowledge systems are essential for maintaining agroecological production, and therefore participatory research methodologies are needed to fully understand the range of benefits of these production systems and then effectively translate those findings into policy spheres. How does this all relate to the European Context? 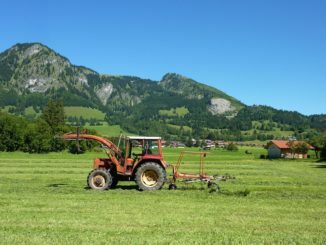 The first is increasing land concentration in Europe, which is particularly impacting mid-scale farms, as well as challenging new and young farmers from entering the sector. 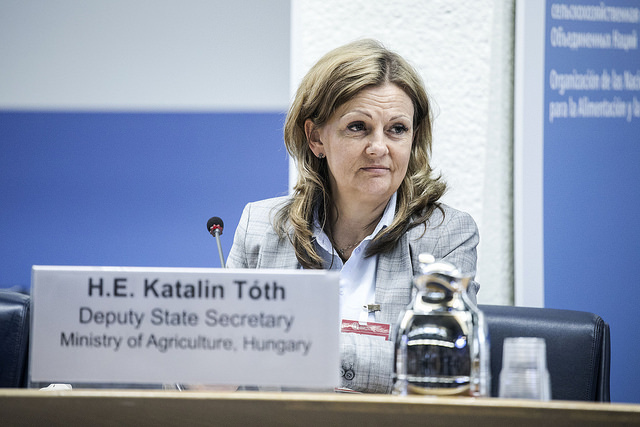 In order for agroecology to flourish in Europe, a priority point emphasised by Ms. Katalin Tóth of the Ministry of Agriculture of Hungary, increasing access to land for small and mid-scale producers will have to be addressed through policy reform. This is both a growing problem (see AR 2020’s dedicated landgrabbing section) and one some MEPs have started to grapple with. 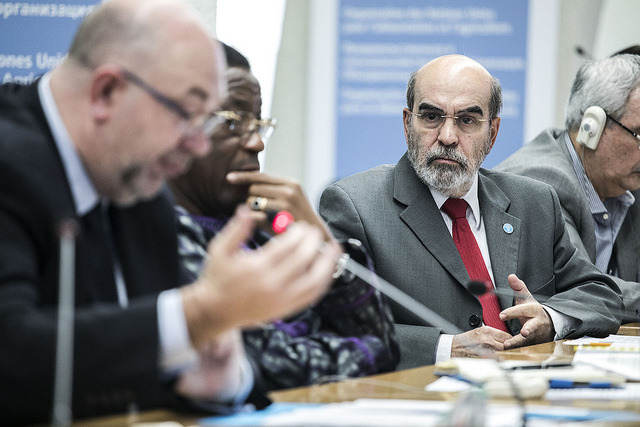 French Ag Minister Stéphane Travert (foreground) and FAO Director General José Graziano da Silva (Background) ©FAO/Giuseppe Carotenuto. Editorial use only. Copyright ©FAO. Thus with these insights, it is clear that the further institutionalisation of agroecology in FAO’s “Cathedral of the Green Revolution,” as named by the FAO Director General during the First International Agroecology Symposium in 2014, casts an uncharted, but certainly contested, policy future for agroecology. 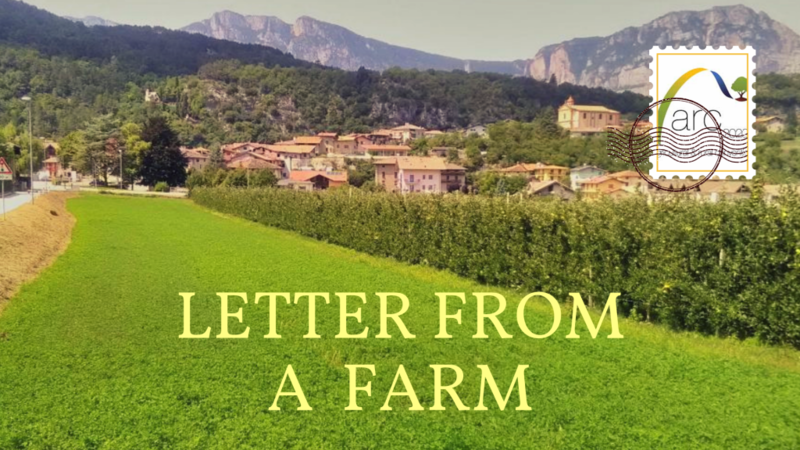 It’s up to agroecologically-orientated farmer organisations and social movements to keep pressure on policy makers to embed this promising approach. Giraldo and Rosset 2017. 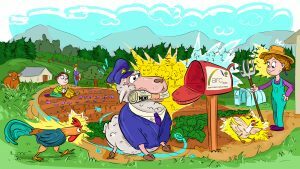 Agroecology as a territory in dispute: between institutionality and social movements. For the statement by small-scale food producers and civil society organizations on the Symposium Chair Summary, see here. 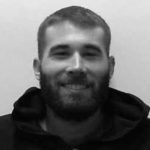 Jordan Treakle is an international consultant and independent researcher working in areas of agriculture and land policy, rights-based territorial development, and sustainable food systems. His academic background is in rural sociology, having completed a MSc. in International Rural Development in the Rural Sociology Group of Wageningen University (The Netherlands). 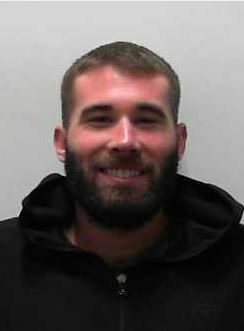 Jordan is currently based in Rome, Italy. Jordan is an international consultant and independent researcher working in areas of agriculture and land policy, rights-based territorial development, and sustainable food systems. His academic background is in rural sociology, having completed a MSc. in International Rural Development in the Rural Sociology Group of Wageningen University (The Netherlands). Jordan is currently based in Rome, Italy.